Your search for a senior living facility is now over. 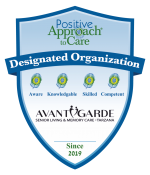 AvantGarde Senior Living and Memory Care is a luxurious senior living community in Van Nuys, CA. We are committed to exceptional senior care that caters to the lifestyle, interests and health situation of seniors. We pride ourselves in our personalized, empathetic and honest approach to senior care. Our mission is to provide continuous emotional, physical and social support to the elderly and make a significant difference in their lives. From providing healthy meals three times a day to organizing interesting activities and events, we take care of every detail to stimulate the mind, spirit and body of our residents. We believe that our residents are our most valuable asset. Therefore, we strive to deliver the highest standard of care and support to them. Our team comprises qualified, trained and experienced caregivers who make sure that every resident is happy. Our staff members hold professional licenses and certifications. Most importantly, we take the safety and privacy of our residents very seriously. We do not share any resident’s personal information with a third party, without their consent. In order to ensure the safety of our residents, we have installed the latest security systems at our premises. No matter your life situation, we’re here to help you or your loved ones. If you are interested in scheduling a tour of our facility, contact us today at (818) 881-0055 or take a tour online.